Peter Litman: Al Jazeera Buys Current - Now What Happens? 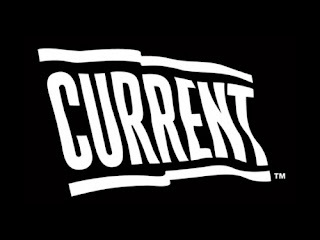 Al Jazeera Buys Current - Now What Happens? Word broke shortly after the new year that Al Jazeera, the news powerhouse of the Arab world, had purchased the privately-held Current TV for $500 million in a deal that closed on 31 December 2012 (NY Times story). Without Time Warner Cable (more on that below), Current's distribution is estimated at 50 million subscribers (per LA Times article) which would put the price at an even $10 per sub -- that's a good price for a network that is unlikely to be making a profit nor which has created a strong brand. Oxygen fetched about $12 per subscriber when NBC bought it in 2007; in distress sales networks often get $5 per subscriber or less. 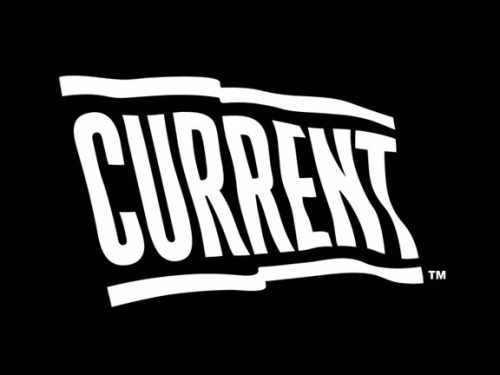 Current, in fact, was built on the distribution of Newsworld International, which Current bought for $70.9 million in 2004. Al Jazeera has tried for years to gain carriage of Al Jazeera English, its English-language service, on US multichannel systems, generally without a lot to show for it. Al Jazeera English primary US distribution is via the purchase of time on broadcast television stations in the New York (WRNN where AJE is its .2 digital multicast) and Washington DC television markets (WNVC where AJE is its .5), along with small independent operators in Toledo OH (channel lineup .pdf), Bristol RI (.pdf) and Burlington VT (.pdf). It has no carriage on any of the national multichannel providers -- DirecTV, Dish Network, Verizon FiOS or AT&T U-Verse. (Current, in contrast is carried on all four and by most Comcast systems -- as you can see right on its homepage). AJE has some part time carriage on public interest channels Free Speech TV and Link TV (which are available on DirecTV and Dish). The way that many probably watch the service is via Internet -- the service is streamed 24/7 at YouTube and I watch the service on my television is via its Roku channel -- its coverage of the Arab Spring was notable (and I like to get lots of different perspectives). According a Wall Street Journal pro article, Al Jazeera English will stop its live streaming in 90 days which will coincide with when the Al Jazeera programming replaces the Current programming. Historically, the purchase of a channel with existing distribution can jumpstart the distribution of another service (G4's purchase of Tech TV is a notable example), but that may not be the case here. Al Jazeera English has more than met the usual distributor concerns/thresholds for consumer interest, financial resources and quality programming to gain carriage -- the typical challenges for a newer service. Distributors are not carrying Al Jazeera English for reasons unique to the service. I don't know exactly the concerns that the distributors have, but suspect that the reasons are the service is owned entirely by an entity that appears to be entirely controlled by the government of Qatar (NY Times article). Given al-Qaeda's use of Al Jazeera's Arabic-language service for the dissemination of its audio and video messages (Guardian article) and concerns about its bias (well covered on Wikipedia). While Al Jazeera English, which is a separate service, may or may not have the exact same issues; its control is vested in the same place. Al Jazeera does not plan to use the Current distribution (and affiliation agreements) for the Al Jazeera English service, but rather for a new service to be called Al Jazeera America. While this service might address distributor concern that Americans have little interest in foreign news, that hardly seems to be Al Jazeera English's biggest distribution hurdle. If industry information source SNL Kagan is correct and Current has an average license fee of $0.12 per subscriber per month, it is hard to imagine that distributors will find that rate for a new service particularly attractive. Some distributors might have the right to delete the service at any time for any or no reason. Some distributors might have the right to move the service to a less penetrated level of service. Most affiliation agreements have a definition of the service (e.g., "a 24-hour news and talk service featuring newscasts and commentary..."). These definitions are often extensive (running a paragraph to several pages) and reference a sample program schedule. The definition of the Al Jazeera America service may not fit within the definition in Current's affiliation agreements. Some affiliation agreements may have a "key man" provision. Former Vice President and inconvenient truth-teller Al Gore's relationship with Current was undoubtedly a significant factor in helping the service gain its distribution. Some distributors may have insisted on a right to terminate the agreement in the even he was no longer in a management role with the company. 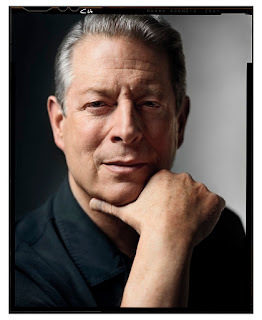 According the NY Times, Gore will have a board seat with Al Jazeera America which might address that issue..
To my eye, how much distribution Al Jazeera ends up getting from its purchase of Current is very much up in the air. It will be interesting to see how this plays out. It would be very interesting to know if Al Gore and the other owners of Current are getting paid in whole or in part on "retainage" -- how many of the subscribers Al Jazeera is ultimately able to convert to the new service. Update (18 November 2013): Al Jazeera America isn't attracting much of an audience per Claire Atkinson in the New York Post.